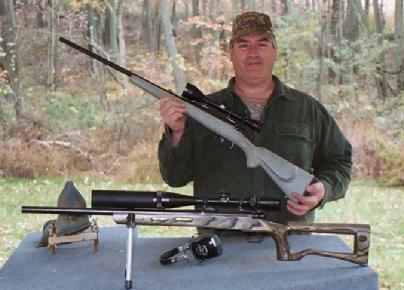 Mike Burns is the the owner of The Rifler Gunsmithing and specializes in building accurate rifles. Mike is an accomplished machinist and has worked in that field since 1969. In 1982, he decided to couple those skills with his passion for firearms. The result was a gunsmithing business called The Rifler. It started out as a general repair and over the years has developed into rifle accuracy. It is Mike’s goal to build rifles which are affordable, of high quality, and accurate for competition and hunting, but priced so that all can afford them. So I would encourage you to contact Mike and find out what he can do to put you behind one of these custom builds .